Last October, Derek Anderson was making the best of his first season of retirement after a 14-year NFL career. The Scappoose High grad and former Oregon State quarterback was living with wife Mallory and their three young children at their winter home in Scottsdale, Arizona, enjoying family time and playing plenty of golf at Whisper Rock. "I figured my career was over," Anderson says. The Andersons were on a family vacation to Sunriver when Derek received a phone call from Buffalo Bills general manager Brandon Beane, who had served as assistant GM with the Carolina Panthers during Anderson's time as backup QB to Cam Newton. "What do you think about coming in and joining our club?" Beane asked Anderson. "We could really use you." 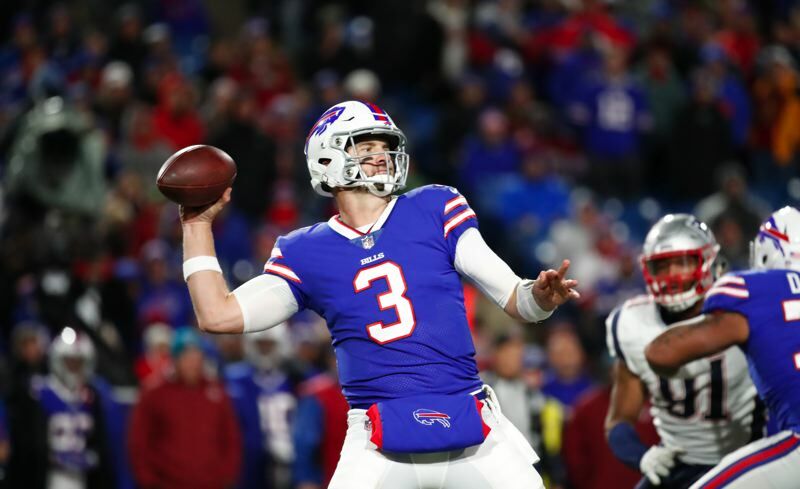 After discussing the situation with Mallory, Anderson signed with the Bills and flew to Buffalo, expecting to serve primarily as a mentor to rookie quarterback Josh Allen. On Oct. 25, Allen suffered a right elbow injury in a 20-13 loss to Houston. Suddenly, the 6-6, 235-pound Anderson was the Bills' starting quarterback. "They wanted a veteran guy in the (quarterback) room with Josh to help him prepare for the games," Anderson says. "That was going to be my role. Unfortunately, I was there for three days when Josh got hurt, and suddenly I'm the guy." Anderson started the next two games, a 37-5 loss to Indianapolis and a 25-6 defeat to New England. He completed 20 of 31 passes for 175 yards against the Colts and 22 of 39 passes for 290 yards against the Patriots. He was knocked out late in the latter game with an injury that was later determined to be a concussion and didn't take a snap the rest of the season. 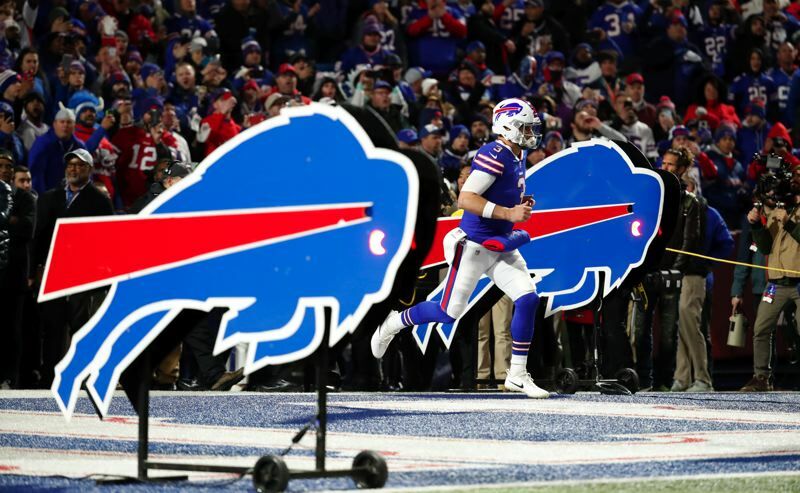 The Bills saw enough from Anderson, though, to offer him a one-year contract for the 2019 season, which the 35-year-old veteran signed on Dec. 31. "I'm excited about it," he says. "It was something I wasn't 100 percent sure about for a while. They talked to me about it two or three weeks before I signed. I wanted to make sure my wife was OK with it. "I had fun doing it this year. I was missing it. It's tough to replace the feeling in the locker room and thrill of the game itself. When I got out there the first day, I was like, 'Yeah, this was the right decision.' I figure I'll do it one more time, then probably shut it down after next year." Buffalo's first-year offensive coordinator, Brian Daboll, had served that position during Anderson's time in Cleveland. "At a time in my life when things were a little hectic, he was there as a friend," Anderson says. "We've stayed in touch through the years. That relationship was a huge part of me signing with the Bills, and deciding to come back next year." Anderson had one Pro Bowl season, throwing for 3,787 yards and 29 touchdowns for Cleveland in 2007, but has spent most of his career as a backup, the last seven to Newton with the Panthers. Anderson signed on during Newton's 2011 rookie season and was instrumental in helping him develop into one of the most renowned QBs in football. After last season, Anderson had talks with front-office execs from Carolina and Buffalo about the 2018 season. Neither situation worked out, though Anderson may have been unable to play at the start of the season, anyway. "I'd had some neck issues at the end of the (2017) season," he says. "It was a pinched nerve, and I couldn't get it to release." It bothered Anderson through the summer months and finally cleared up in September. 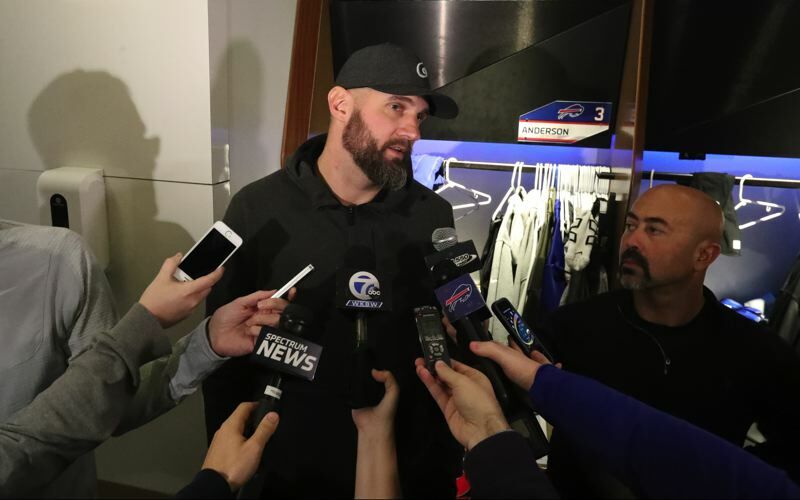 When he arrived in Buffalo the next month, "I was not in what I would consider ready-for-training-camp shape, but I had thrown the ball a little bit," he says. "I had been working out, though probably not as much as I should have." Anderson felt he played well for "2 1/2 to three quarters" against the Colts, "then started to press and made some plays I shouldn't have," he says. "Against the Patriots, I played about 3 1/2 quarters of good football, then made one bad decision (which turned into a pick-six) that cost us. "But I didn't have (organized team activities) in the spring or summer training camp behind me. It was good for me to prove to myself that I could still do it." Anderson left his wife and kids — Amelia, 4, Hank, 2, and Jacqueline, 1 — in Arizona for his two-plus months with the Bills. Next season, they'll join him in Buffalo. "They came out for a week before Christmas to stay with me," Anderson says with a laugh. "The day they landed, it snowed 10 inches. But it was fun. We had bought a bunch of snow stuff and made a snowman with the kids. My youngest hadn't even been in cold weather." "It's a small city, a great community with a lot of hardworking people," he says. "And the Bills are a first-class operation. They take care of their players. The training staff is as good as anywhere I've ever been. They're building a new training center and weight room that should be done in April." Buffalo coaches said one of the reasons they wanted Anderson back was because of the mentoring he did with Allen, the former Wyoming standout who was the No. 7 pick in the 2018 draft. Allen threw for 2,074 yards and 10 touchdowns with 12 interceptions in 12 games this fall. "It was huge for me to see how a true professional operates, how he prepared for games," Allen told reporters. "It opened my eyes, it truly did, to a whole other side of football I hadn't seen. It allowed me to take maybe another leadership step. He's been fantastic. I love the guy." "He's a super kid," Anderson says of Allen. "I forget sometimes he's just 22 years old. He is going to be a very good quarterback in this league." After Anderson went down to injury, the Bills added veteran Matt Barkley to their roster. Head coach Sean McDermott and the offensive staff recognized the chemistry in the QB room. Allen made noticeable improvements after he returned to the lineup in November. "It was fun working with Josh and Matt," Anderson says. "It's a great group. There were lots of laughs, lots of learning. Josh played better after he came back. We did a lot of things on offense that showed some growth and signs of life for the future." How does Anderson see his role next season? "I don't know how it's going to shake out," he says. "They want me to come in and compete to be the backup, but also be there to help Josh and Matt." "Derek has been a great addition to our team for a wide variety of reasons," Daboll told the media. "He has been in the league for 14-plus years and played with a variety of teams in a variety of offenses. (Anderson and Barkley) both have a good understanding of defense, a good understanding of our system. We've had some really good conversations. And Josh is smart. He talks with those guys. There's a lot of communication. There are no egos. Everybody is pulling in the same direction." Anderson had some welcome faces around him after he arrived in Buffalo. Safety Jordan Poyer — second on the team with 100 tackles to go with a team-high four interceptions — is a former Oregon State star. Receiver/return specialist Victor Bolden and defensive tackle Kyle Peko (a member of the practice squad) also are ex-Beavers. "The more the merrier," Anderson says. The Andersons, now back in Scottsdale, will return to their home in Salem sometime in the spring and stay until training camp starts in late July. Derek no longer runs the kids camp he did in Scappoose for nearly 15 years, but he'll return to the area to visit his father, Glen Anderson, who still lives in St. Helens. "Dad's still working and hunting and doing all his craziness," Derek says. Anderson was backup quarterback to Jonathan Smith during his freshman year at Oregon State in 2001 and has followed closely Smith's return as the Beavers' head coach. "There were lot of ups and downs," Anderson says. "We have to get some more talent in there, but he did a good job with the guys they had, getting them to play hard. It was never a question of effort." Anderson brought his kids to practice one day during August training camp and attended two games in Corvallis, including the Washington State game in which Smith reserved a suite and hosted a party for former Beaver players. "That's huge for the program," Anderson says. "I talked to a lot of guys afterward who really enjoyed it. "It's going to take some time, but Jonathan is doing the right things."